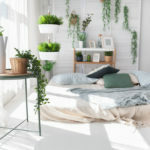 All of us want to do our parts to go green, but how many times do you come across advice that’s meant for people who own their homes rather than for people who rent? 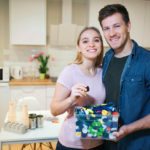 Well, if you have a landlord but you still want to do your part to minimize your ecological footprint, here are a few simple things you can do towards green apartment living. There’s nothing worse than staring at white walls. But if you’re a renter, then painting might not be an option. What you can do is cover your walls with cloth. This is decorative and can also provide some much-needed sound dampening and insulation without making permanent changes to your place. In fact, fabric lasts a long time, and it will move with you from one place to another, allowing you to get the most out of a single purchase. Also, if you buy your fabric second-hand, then you’re participating in the “reuse” part of the cycle, as Apartment Therapy points out. 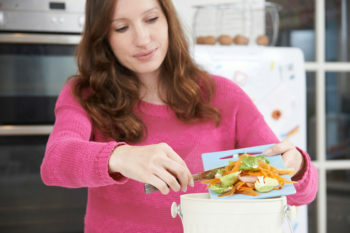 Composting is one of those things most apartment dwellers either can’t do or have to jump through hoops in order to make it work. 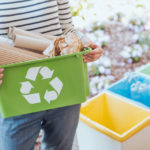 Few apartments provide exterior space for a compost heap, and while places like local farmer’s markets might have drop-offs for organic waste, you have to save the scraps at home, then drop them off, which is a huge mess. However, you can get a miniature, at-home composter. This keeps your organic waste out of the garbage and gives you nutrient-rich compost to use on your window garden, house plants, and other green areas. Washing your car is a summertime tradition, but no one wants to wash harsh chemicals into the storm drains where they can lead to all kinds of problems. That’s why you should either use a mechanized car wash (since they’re required to send their water for treatment) or get your hands on a product like Eco Touch. This lets you clean your car without runoff, which is good for everyone. Remember that for every hour you use natural light, that’s an hour you aren’t paying for electric light. The same is true for opening windows to let in a cool breeze, or wrapping a blanket around your shoulders when it gets cold. The less you use your heating, cooling, lighting, etc., the more energy you’re saving, and the less impact you’re making. How often have you found yourself paying for something you only really needed once? Whether it was a movie or a nail gun, see if there’s a way to rent the things you aren’t going to use that often. And if you’re buying something you will use fairly often (a winter coat, a couch, an end table, etc. ), always see if there’s a way to get it used or refurbished. This saves you money, but more importantly, it means you’re doing your part to keep things that already exist in circulation instead of creating demand for additional stuff. We’re eager to share tips and tricks to further your green living goals. 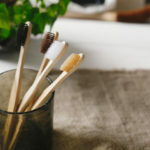 For more ways on how you can lead a greener life as an apartment dweller, simply check out our blog or contact us today!